In Uruguay, you have to pay the equivalent of a luxury tax to buy bottled water, beer or cigarettes. But if you want to smoke a joint under the country's new marijuana legalization law, critics say there's good news for you - there won't be any such tax on pot. As Uruguay's marijuana legalization law took effect, turning it into the first country in the world where the government will not only allow but also produce and sell marijuana, President Jose Mujica's decree to implement the law is triggering a debate almost as fierce as last year's debate about the law itself. Only hours after Mujica signed the law's implementation decree, critics pointed out that the new regulations' failure to tax pot with the country's special tax on non-essential goods - known by its acronym IMESI - is a major blunder. It sends the wrong message, and will help create a climate of social acceptance of marijuana that will result in more consumption of the drug, they say. "If tobacco pays a 68 percent tax, I don't see the reason why marijuana should be exempt from taxes. Both are equally harmful to your health," Carlos Moreira, an opposition legislator who presides over the Senate Health Commission, told me in a telephone interview. While Uruguayan consumers pay about 22 percent in non-essential goods taxes for a bottle of water, 27 percent for a bottle of beer and about 68 percent for a regular cigarette, marijuana sales will not pay any such taxes, at least for now, according to opposition leaders and government officials who have read the marijuana regulation decree's fine print. Moreira told me that in addition to not paying taxes for non-essential goods, marijuana will be more easily available than regular cigarettes. While marijuana will be easily available in pharmacies, stores will be prohibited from exhibiting it in public for sale under a separate bill approved by the Senate this week, he said. "We are making it easier to buy marijuana, and sanctifying marijuana sales," Moreira added. "This law will end up encouraging marijuana consumption." Mujica, in turn, says Uruguay's marijuana legalization plan is an experiment, subject to adjustments as time goes by. What's not acceptable is not doing anything, and allowing the drug mafias to continue dominating the market, he says. According several opinion polls, most Uruguayans have mixed feelings or oppose the marijuana legalization plan. Asked about the main points made by critics of the marijuana legalization decree, Diego Canepa, Mujica's deputy chief of staff and head of the country's marijuana legalization office, told me in a separate interview that while marijuana will be initially exempt from the IMESI tax, it will be subject to other taxes. In the future, as it becomes clear how many people sign up to consume government-supplied pot, marijuana sales will be slapped with additional taxes, he said. Applying the IMESI taxes for non-essential goods on marijuana sales now would drive up the price of government-regulated pot, which would defeat the whole purpose of the government's legalization plan. The plan aims to sell pot at the same or lower prices than drug dealers in order to drive the drug mafias out of business, he said. Canepa also denied that it will be easier to buy marijuana than tobacco cigarettes. "That's plain wrong. The decree states very clearly that marijuana will never be exposed to the public, and that it will be kept under lock in pharmacies," he said. "Critics are saying the same thing that used to be said in the 1930s, when some U.S. legislators claimed that ending alcohol prohibition would lead to a huge spike in alcohol consumption," Canepa said. "It didn't happen. Scientific evidence shows that once you get away from prohibition, you don't have an increase in consumption in the long term." My opinion: As somebody who generally supports Mujica's idea to experiment with marijuana legalization, I can't help but wonder whether exempting marijuana from the tax on non-essential goods makes any sense. The key to Uruguay's marijuana law's success will be - as former Uruguayan President Julio Maria Sanguinetti told me once - preventing a "joyous atmosphere and a climate of permissiveness around marijuana" that will encourage more people to consume the drug, and turn a bad problem into a worse one. It's all about the message, and failing to apply the non-essential goods tax on marijuana sends the wrong message. 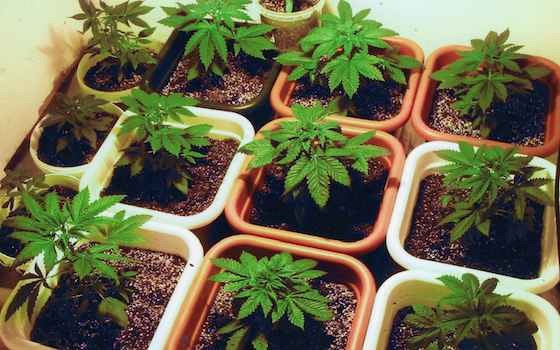 "Uruguay Wrong About Not Taxing Pot"